Ever experience the horror of getting ready and realizing you have no eyebrow product left? Yeah, same. For me, nothing completes a look more than nicely groomed, filled-in brows. Without it, mine look like they’re sparse and crying out for help. 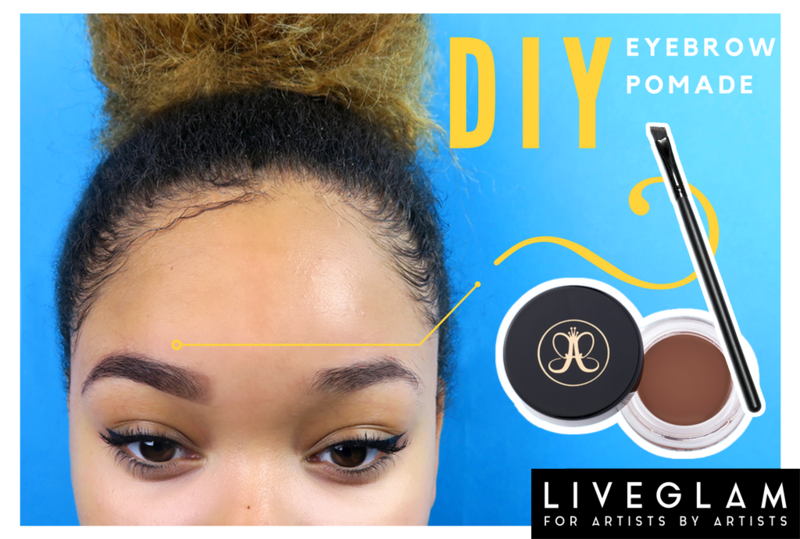 Whether you ran out of product or simply don’t want to spend the money on it, we have the perfect DIY for flawless brows. Honestly, it’s up there with the Anastasia Beverly Hills Dipbrow Pomade. It’s that good, is much cheaper, and takes less than 5 minutes. I used the Carol’s Daughter Black Vanilla Edge Control which was amazing for this. It smells great (you might be the only one in your posse to have great smelling brows), and it holds the brows in place all day. You can use any edge control or hair styling gel. Steal it from bae if you have to. I chose a dark brown eyeshadow from the Cargo Cosmetics Essentials Eye Shadow Palette. You can use any eyeshadow and color, just make sure it’s pigmented and matte. This part is optional, but you can add a couple drops of castor oil in your mixture. It’s widely used to stimulate hair growth and helps it grow back thicker and fuller. If you’ve been struggling with sparse brows, try applying castor oil to them every day! Anything you can find to mix all of the ingredients together! 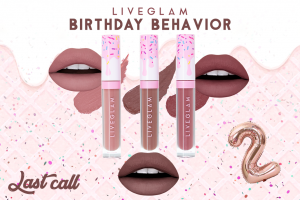 Use the Morphe Pk45 Angle Brow brush from LiveGlam’s new Pinktober MorpheMe collection! 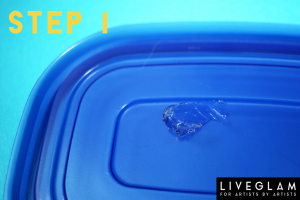 Start by taking a chunk of hair gel and place it on a surface for mixing. I just used a tupperware lid from the kitchen (getting very resourceful here). 2. Take your matte eyeshadow and scrape a decent amount right on top of the hair gel. 3. Mix it together until it becomes soft and creamy. 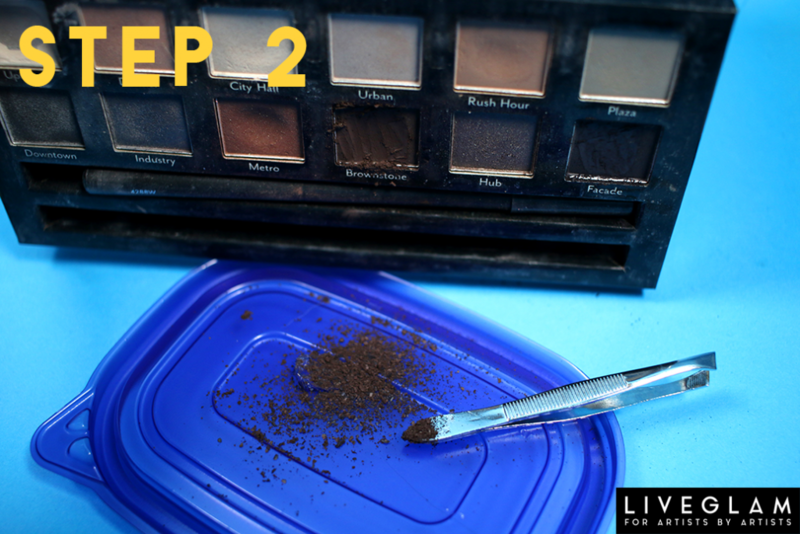 Make sure there’s no eyeshadow clumps in the mixture! 4. 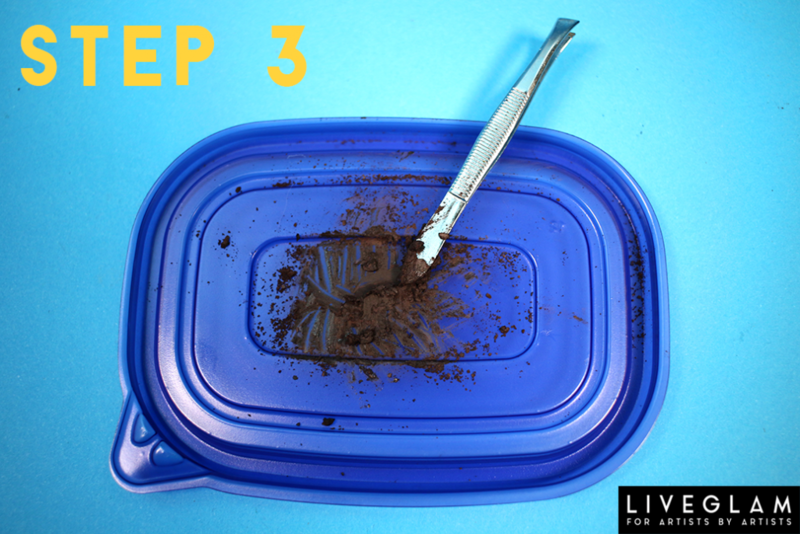 Put your mixture into your container, and add 1-2 drops of castor oil (optional). I just made a sample-sized amount and put it on the edge of the jar, but you can fill the entire thing once you’ve perfected your formula! 5. 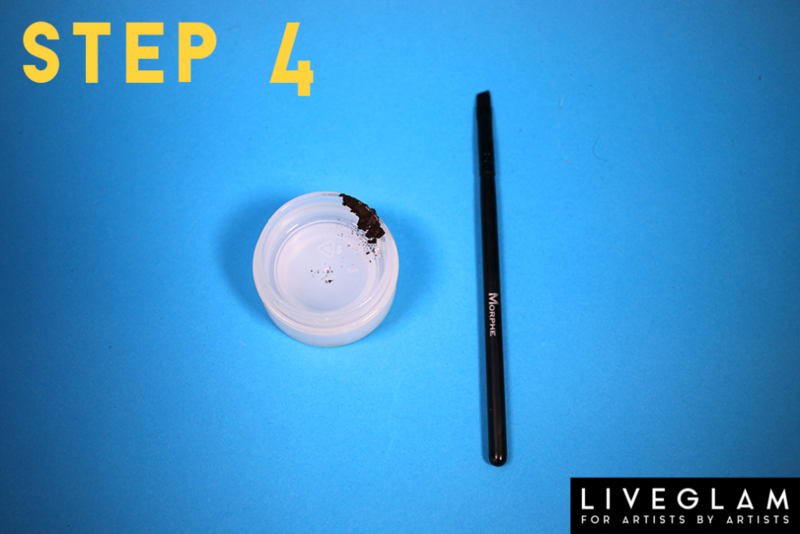 Take your angled Pk45 brush and fill in those brows! 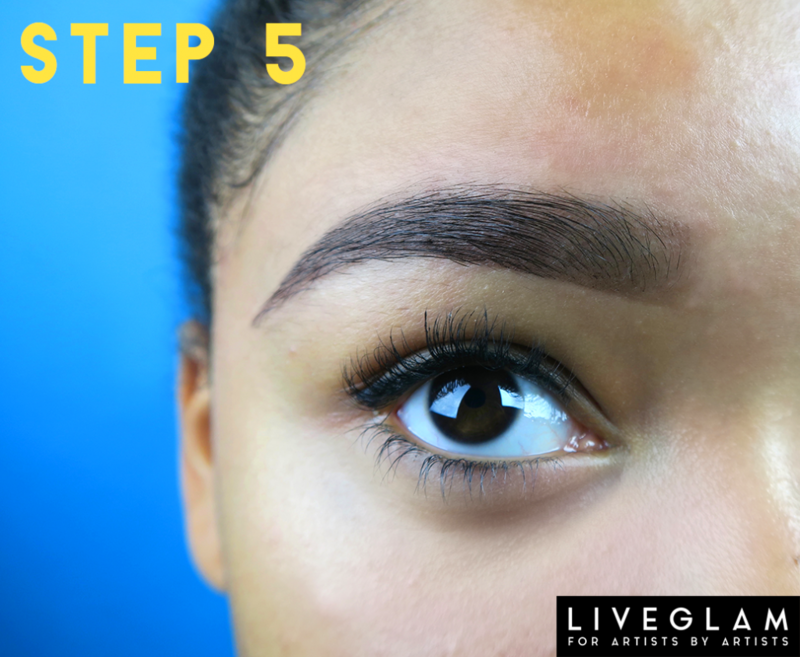 Since you’re using hair gel/edge control, your brows will stay in place all day. *Quick tip: to adjust the shade of the pomade, you can add foundation or concealer. I haven’t gotten my brows done in forever (tragic), but this DIY pomade made them look fresh and flawless. I actually have replaced my go-to eyebrow pencil with this mixture instead. Try it out for yourselves! We swear you won’t be disappointed. Now you never have to panic when you run out of eyebrow product. Just whip up this mixture and you’re good to go! 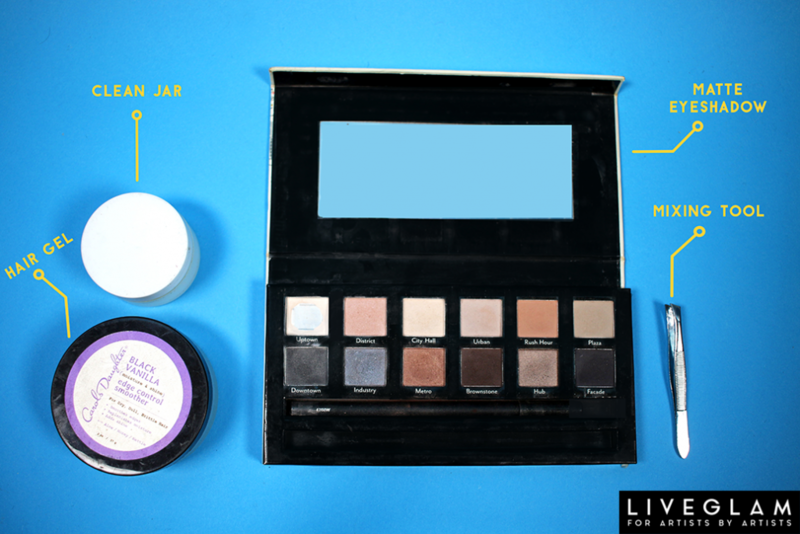 LiveGlam’s got you covered in making sure your brows are always on fleek. Let us know if you try this in the comments below! Peggy McCoskey: Have you mixed up enough that it would last for a few days. I like the way you came up with this tip I am willing to try it. Thanks a lot! Helen: Wow, amazing tips!! I am experimenting with my eyebrows quite a while, and could not even start if didn't grow them with Cherish Brow serum! Now they are really "ready" to be groomed and shaped! :)) A great and unusual article, thank you, will share it with my friends.